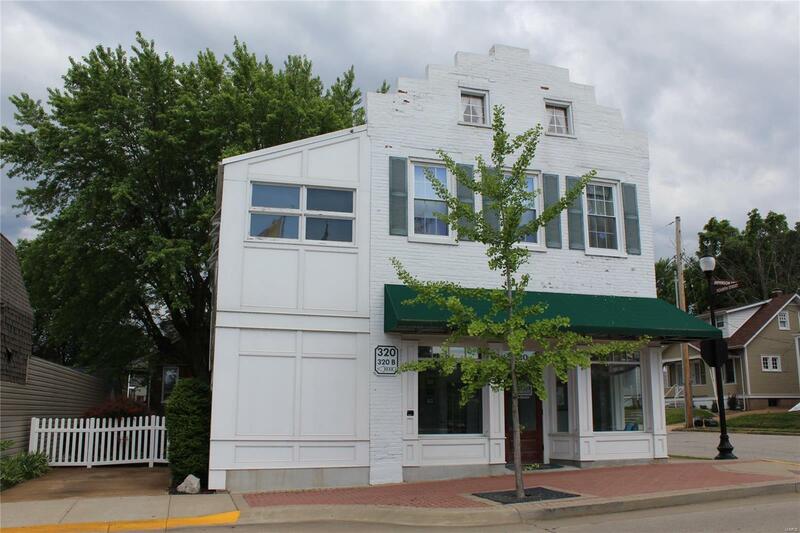 Opportunity in the heart of Downtown Washington 2 levels. The main level is currently a doctors office which has a long-standing tenant in place while the upstairs is 2-3 bedroom apartment with 2 nice living spaces. Just across the street from the City Hall and police station in Downtown Washington which puts you just a couple blocks from the River, shopping, eating establishments and the riverfront trail. A truly beautiful historic building. Fenced yard, Patio area, off street parking, and outdoor storage sheds. Great opportunity to live upstairs and maintain a good tenant for the lower unit. But in the long-term, could convert to additional living area or run your business downstairs & live above. So much potential come see today!